Tennis Server - Mortal Tennis - Thank You Sandy Mayer! Being a tennis fan, as well as working in the tennis business, I naturally read as much material about the sport as I can get my hands on. I receive several monthly publications, immediately gobble up the latest tennis books and regularly scan the Internet for updates and new information. A few days ago I was working on my column for the Tennis Server when my mind started to wander (interestingly, the column was dealing with maintaining one's focus). Obviously in need of a break, I walked downstairs to see if the mail had come. It had and as I thumbed through the seemingly endless stream of bills and junk mail my eyes widened when I came upon my recent issue of Tennis Week magazine. If you're not familiar with Tennis Week, it's simply one of our sports best publications. Founded by former touring pro Gene Scott, the magazine offers results, instruction, industry news and articles by tennis experts such as Vic Braden, Paul Fein and Joel Drucker. It's a great read for those in the know and those who'd like to be. Thumbing through the pages, my attention was grabbed by a headline that read "Like, Father, Like Son." Written by Mr. Drucker, the article told the story of former touring professional Sandy Mayer and his teaching pro father, Alex. 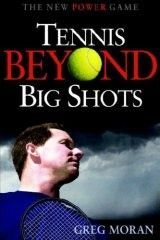 A former Davis Cup player that was originally from Hungary, Alex Mayer became one of the sports foremost teaching pros. Truly a tennis "lifer," Alex studied the sport religiously. Drucker described Mayer by saying: "Make no mistake: Alex Mayer was obsessed with tennis, a man who could walk into a tournament, scan rows of courts and, in no short order, explain why X should practice for three hours but Y required only one, how some players competed more effectively when they were behind than when ahead, and on and on and on." Through his passion for the game, and those he taught, Alex left his mark on a countless number of tennis players and teaching professionals throughout the world. Of course, he passed his passion on to his two sons Alex Jr. (otherwise known as Sandy) and the younger Gene. Both boys enjoyed successful careers on the pro tour throughout the seventies and early eighties and teamed up to win the French Open in 1979. The article went on to talk about Sandy's picking up the torch left by his father's passing and becoming a teaching professional. It's truly a super article that I would recommend you track down. "We've never been in an era where the gap between what the pros do and what you can learn from them is so wide." He went on to say that, "I don't want to teach people to hit esoteric shots with complicated grips that drastically limit their games." ... "I think it's absurd for a kid or adult to try to hit their forehand like Andy Roddick. I cringe when I see teaching pros telling their students to keep ripping the ball and saying, 'In time, it will come in.' Well, guess what? It won't." When I finished that passage I wanted to track down Sandy Mayer and give him a big hug because one of the toughest battles teaching professionals face is our student's desire to "hit it like the pros." Recreational players see the big boys and girls on television with their 130 plus m.p.h serves and supersonic forehands and come away with the "I can do that" disease. Their body aches to pull off the "great" shot. A student of mine, Joe (not his real name) is a classic example of this. Joe takes to the court each week, moves his grip over a few inches ("Because I noticed that's how Andy holds it") and proceeds to fire away. As ball after ball flies over the baseline and/or back fence, he ignores them, squeezes his grip a bit tighter and keeps mindlessly swinging away. When he begins to feel that slight twinge of pain in his elbow, he simply pops a few Advil (which he now always keeps in his tennis bag) and keeps launching bombs, swinging as hard as he can... just in case one happens to go in. When I try to convince him that his approach may not be the best, he smiles and says, "Greg, my serve is unbelievable... when it goes in and they can't touch my forehand... when it goes in," he assures me. Of course, when it goes in is the operative phrase. Oh, Joe does manage to hit the occasional "world class" shot because, after all, even a blind squirrel finds a nut once in a while. When Joe does pull a great shot (out of you know where) the feeling is amazing. He wins the point, everyone around bows to his "greatness" and, for that brief moment, Joe's wife loves him just a little bit more. This ever so occasional brush with greatness is just enough to keep him flailing away, oblivious to the 30-40 errors that sandwich his "great" shots. Joe is also blind to the fact that his style of play might have something to do with the fact that he's lost in the first round of his club championships the last three years and hasn't won a league match since the turn of the century. Unfortunately many teaching pros today perpetuate this approach. I see both adults and juniors, with severe Western grips and wide-open stances, tearing their arms apart as they strive for more and more topspin. Their pro pacifies their frustration by feeding another ball and telling them "not to worry, this is how the pros do it. Keep swinging away, mate, they'll fall in." Come on. We're not pros so we shouldn't expect to be able to hit the ball like they do. Sandy Mayer is absolutely correct: the difference between what they do on the tennis court and what you and I do is as wide as the Grand Canyon. The pros of today are tremendously powerful and can hit winners from virtually any area of the court. You can't, I can't and we shouldn't try. If you want to take something from the way the Roddicks and Williams' of the world play the game, pay attention to their early racket preparation and their incredible footwork. Notice their intense concentration and never give up approach. That's it. Their extreme grips, open stances, and big shot mentality are not for you and me. For us, tennis always has been and always will be a game of consistency, control and point development. If you want to play like the pros, play like the pros of the past. Players such as Billie Jean King, Chris Evert, Rod Laver and Jimmy Connors had a style of play that you and I can realistically emulate. They had tremendous consistency, developed points, and won with what was between their ears rather than what they were holding in their hands. Though we will never reach their actual level of play, their approach to the game will provide us with a much more enjoyable, not to mention winning and injury-free, brand of tennis. Keep in mind that the word "great" on the tennis court is not meant to describe a particular shot. It is not a player who, once a month, can hit a serve like Roddick or a forehand like Venus. Greatness, as it relates to tennis, can be summed up in one word: consistency!